Special thanks to Sisters of Charity Foundation for their initial seed funding and support with integrating an EHR system for behavioral health in September 2010. 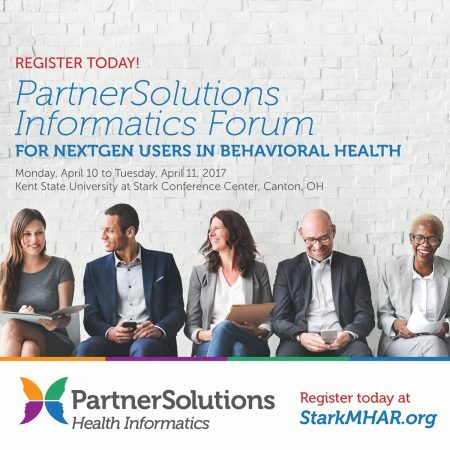 For more information about PartnerSolutions, please contact Director Jennifer McIntosh at 330-430-3960 or Jennifer.McIntosh@StarkMHAR.org. Join us for two days of learning and networking at the Kent State University at Stark Conference Center in Canton, Ohio. Register by March 27, 2017!